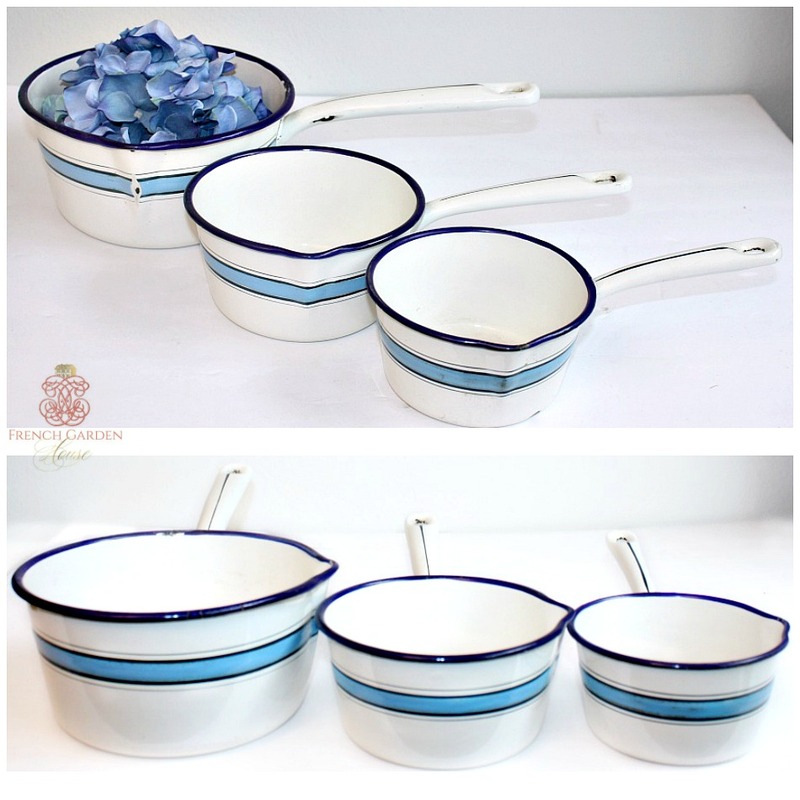 Exceptional White & Blue French Enameled Set of three Sauce Pans, with a beautiful decorative classic pattern or design, perfect for your French Country or Farmhouse styled home. 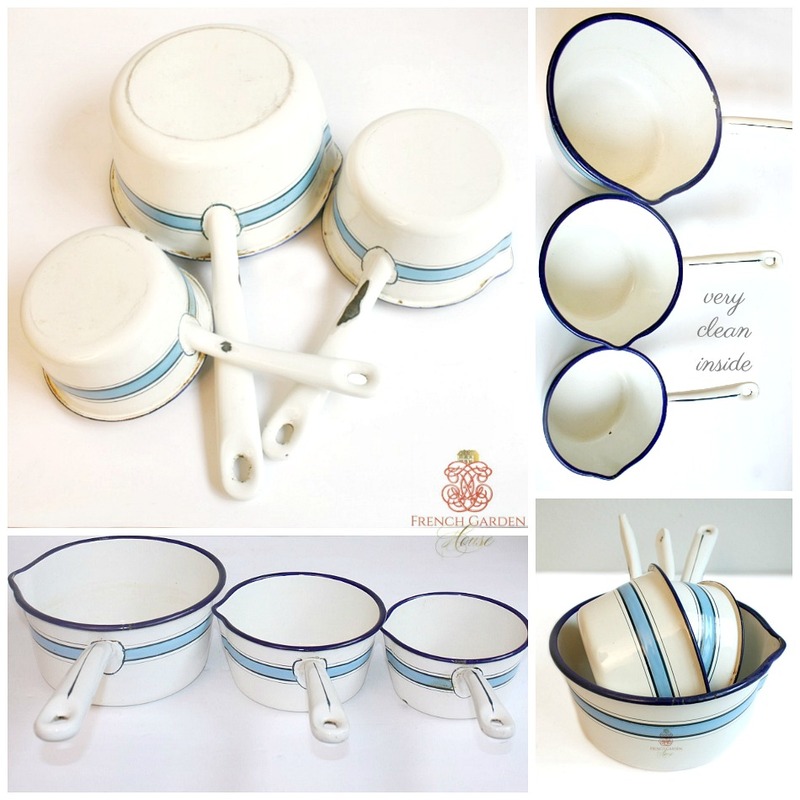 These are so extremely rare to find, the most desirable color of white with blue, charming, they were made by the renowned Japy Frères in France. 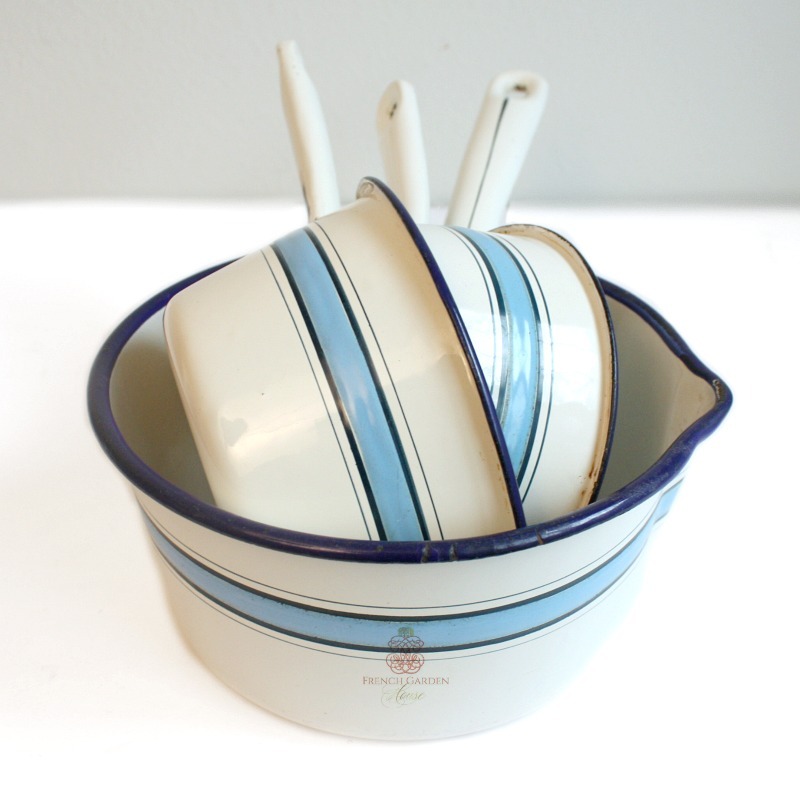 Sure to be appreciated by fans of fine quality enamelware. 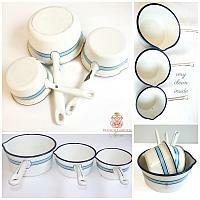 These have such alluring blue colors, the decorative stripes are in navy and French bleu. Enameled pieces that survived home use at the turn of the century were turned in for WWII metal scrap drives. Have the expected wear commensurate with the age and use of the pieces, a few minor chips to the enamel here and there as shown. 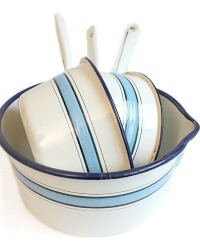 These are in very good condition for a set of pans, from a collector. This set is extremely clean, it was very well taken care of. Display wonderfully with your other 19th century antiques for your cuisine. Please look at the other pieces that match, an instant collection! Measure:14-1/2" l x 7-3/4" x 4"h; 11-1/2" x 6-1/4" x 3-1/4"h; 10" x 5-1/4" x 2-3/4"h.